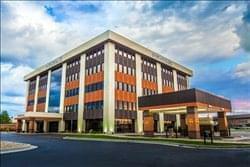 Find My Workspace lists over 95% of the executive office suites market in Saginaw. Simply click Request Quote to check pricing for one office, or Add to Basket for multiple offices. This executive office center offers single or multiple office suite solutions for your professional business needs. Your private office suite includes high quality furnishing to reflect the professional image your business exemplifies. The common areas, including full time staffed reception area, fully equipped kitchen, and private conference rooms are available Monday through Friday. All utilities, including electricity, water, heating and air conditioning are included in your rental rate. Your mail will be sorted and delivered to your private office. The center will arrange and coordinate all of your cleaning and janitorial needs at no additional costs. Printing, copying, scan and fax services are also available for a small fee. Unlimited local and long distance telephone service is include, along with Internet service.